William J. Flynn has been a leader in business, a catalyst for peace, and has always been equally committed to his native country and the land of his ancestors. He will always be remembered as the man who broke the mold when he set out in tandem with a few others to dispense with the great taboo that American business should not get involved in bringing peace to Ireland. Flynn helped build Mutual of America from a small, struggling organization in 1971 into the industry leader and insurance giant it is today. Now, four decades later, he is the chairman emeritus of the company. Flynn was also a key figure in the U.S. delegation that worked tirelessly to broker the first IRA ceasefire in 1994. As chairman of the National Committee on American Foreign Policy (NCAFP), the first Irish American to hold the position, Flynn’s advice was instrumental in persuading President Clinton to grant a U.S. visa for Sinn Féin president Gerry Adams to attend a ground-breaking cross-border conference hosted by the NCAFP in 1994. Flynn also led two delegations to Northern Ireland to push for economic investment and peace in the region. A native New Yorker whose parents came from counties Mayo and Down Flynn is a past chairman of the Ireland Chamber of Commerce in the U.S.A. and has been a board member of several organizations, including the American Cancer Society Foundation, Co-Operation Ireland and the Catholic Health Association of the United States. Irish America magazine chose him as Irish American of the Year in 1994, and in 1996, as Grand Marshal, he proudly led the New York City St. Patrick’s Day Parade up Fifth Avenue. 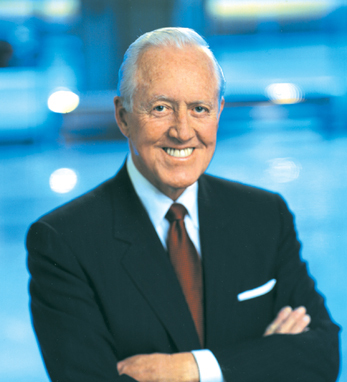 In 1999, he was selected by Irish America as one of The Greatest Irish Americans of the 20th Century. On his visits to Ireland, Flynn always takes time to stand at the graveside of his grandparents in Loughinisland, County Down, just over the border from the Republic of Ireland. His father, Bill Flynn Sr., emigrated from Loughinisland to British Columbia. He moved to Seattle to work in shipbuilding then the mining town of Butte, Montana before landing in New York. In New York, Flynn Sr. met Anna Connors, from outside Castlebar in Mayo. She was a daughter of farmers who had taken the emigrant boat herself. She had a sister in Brooklyn who likely had sent the fare back to her. In 1925 Anna Connors and Bill Flynn were married. A year later, Bill Flynn Jr. was born. Flynn holds an MA in economics from Fordham University. He married Peg Collins, an Irish-American girl from the Bronx, in 1953. Together they raised four children, two of whom are now deceased, and they are the proud grandparents of ten.